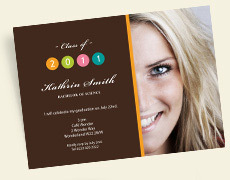 Plenty of occasions offer an opportunity to send out Personal Invitations.Would you like to invite guests to your birthday party or wish to celebrateyour graduation? Maybe you are planning to get married or your firm is hostinga special event? 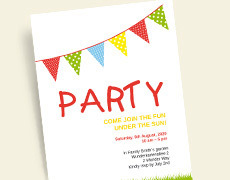 Whatever the occasion, you can be sure to find the appropriateInvitation Cards at bonnyprints.co.uk. Ourselection offers you exclusive, fashionable, and easy to customise designs.Choose from a wide range of unique invitations andmake them your own by personalising them online. We offer plenty of creative invitations for any occasion.Each card allows you to add your very own personal text and party slogan. Chooseyour preferred card size from our flat, folded or tri-folded cards and order asmany cards as you desire. 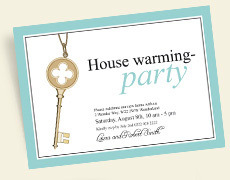 Find a suitable layout for your InvitationCards and add your favourite photos. 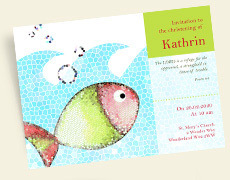 We have a number ofwonderful wedding invitations, charming invitations to birthday parties andchristenings as well as non-specific Party Invitations.Find your ideal Personal Invitations atBonnyprints and customise to your heart’s content.